Obi returns to the Discover fold with this speaker busting two tracker. Elliptical kicks off the release in thunderous style before dropping to the breakdown with a strong hook and blissed out plucks. Soulmate is more subtle from the start whilst still retaining bags of energy. Strong yet simple melodies merge with a slightly melancholic feel to round the release off nicely. 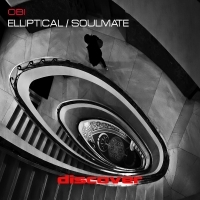 'Elliptical / Soulmate' is available now from Beatport and iTunes.